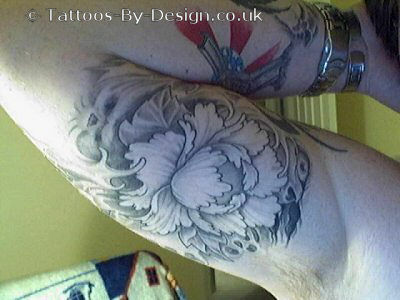 Browsing Category: "Leaves & Flowers Tattoos"
WOW !! This was the first word that came in mind when I saw this tattoo. Though the fairy sitting on the flower is naked, but she has managed to hide all her vital parts. I really liked the concept, color combination and everything.